My trip to Monk’s House seemed to arrive with the beginning of spring. 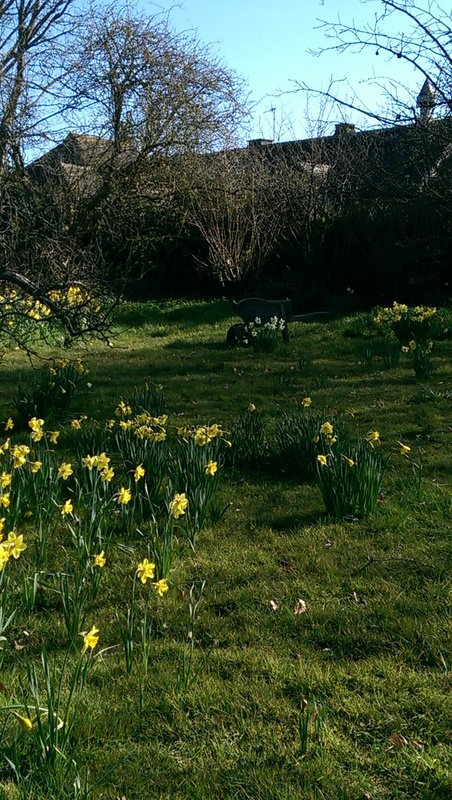 The sun was in the sky, it was warm, and the daffodils were all out. 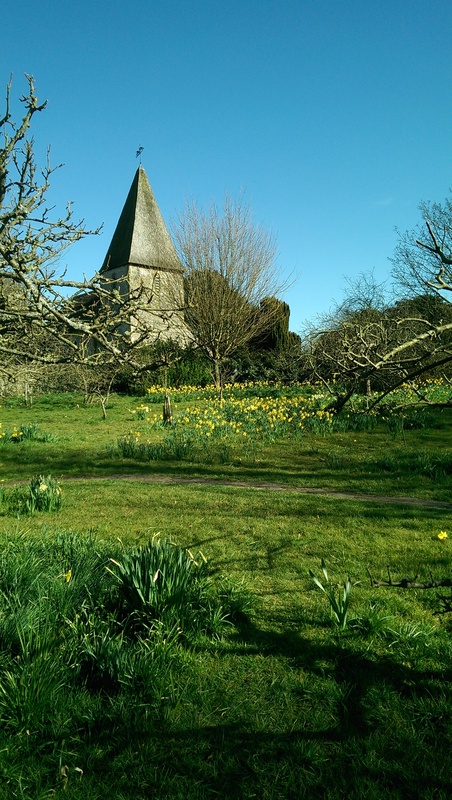 Monk’s House is a beautiful and idyllic village called Rodmell, hidden between Brighton and Lewes. 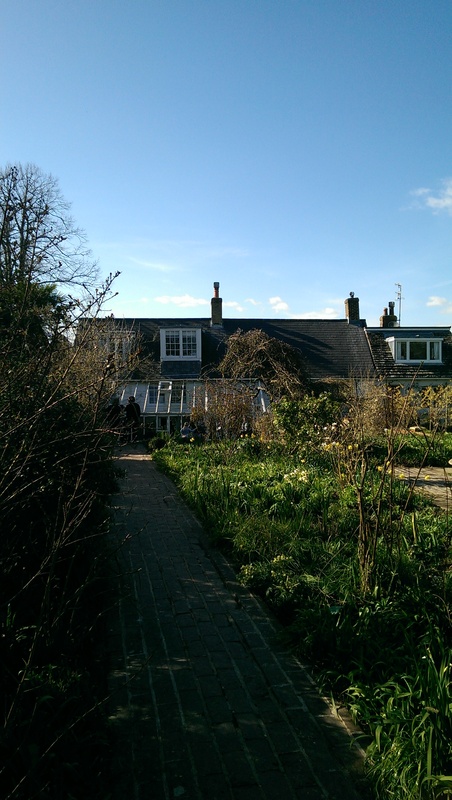 Since I began discovering more about the Bloomsbury group, I’ve known about Monk’s House, but I didn’t know how wonderful it was until my visit. 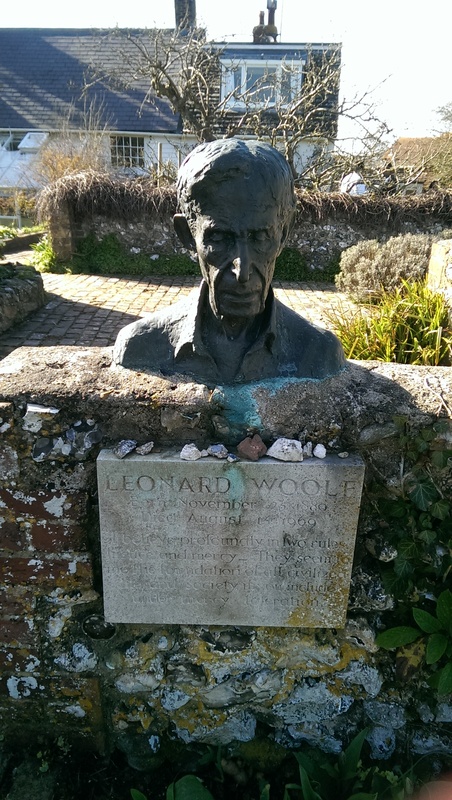 Monk’s House was the country retreat of Leonard and Virginia Woolf, seen below, commemorated in sculptures in the garden. Stepping into the garden at Monk’s House was like stepping into another world and place. The garden was beautifully organised and arranged, divided into sections and bursting with daffodils, primroses, and other spring flowers. It was easy to imagine how inspiring and calming a place this would be. There was a lawn too, where they used to play Boules and this was easy to imagine. 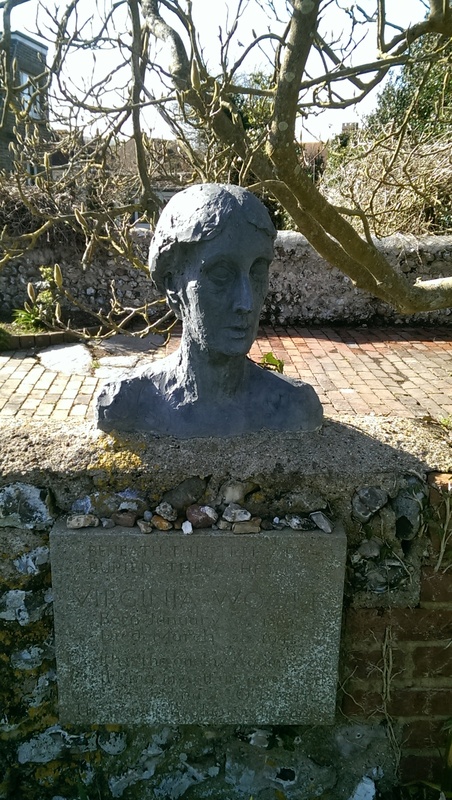 It was amazing to think that Virginia used to walk from Monk’s House, across the countryside to Charleston Farmhouse, where her sister, Vanessa Bell lived. Of course, one of my favourite parts of the garden was the amazing writer’s hut, situated at the end of the garden, with a stunning view of the South Downs. The house too was light and inviting, full of flowers and books, and it was easy to imagine it being a wonderful place to live and work. We finished off our day with a detour via Berwick Church, to take a look at the paintings by Vanessa Bell and Duncan Grant, which was another stunning location. You can find out more about Monk’s House here. If you’re ever in Sussex and/or intrigued by the Bloomsbury group and Virginia Woolf, then I definitely recommend a visit!